A doula is a non-medical birth professional who offers unconditional emotional and practical support during pregnancy, birth and the postnatal period, whatever your birth and parenting choices are. What changes do you need to make to improve your health? How will you prepare for birth? Will you birth at hospital, midwife led unit or at home? As an experienced holistic childbirth mentor, therapist and doula with over 15 years experience of supporting women and their families, I will listen to your concerns, acknowledge your needs, and help support you in making the right choices for you. I am also available for standalone birth preparation or postnatal support if you do not need my full doula service. I am passionate about supporting women in their choices around birth and this has led me to offering my skills for birth support or doula service and childbirth mentoring. I have been supporting women and babies with shiatsu and birth support since 2002 and I am the mother of two children who were born at home. I offer unconditional support to all women, whatever their choices and plans are for birth. After an initial free meeting to see if we are suited to each other, as your doula I am available to support you throughout your pregnancy, whether that's by telephone, email, Skype or in person, and I will be on call for four weeks around your estimated due date. I am not a midwife so am not able to offer medical assistance or advice, but I have access to information and resources that are freely given to enable you to make your own informed decisions about your pregnancy and birth. I am based in Frome, Somerset and offer a highly individualised and holistic service including bespoke antenatal support, ﻿shiatsu﻿, birth preparation using Active Birth and Birthing from Within techniques, and birth support or doula service. As part of my birth package I offer postnatal support, including traditional healing and nurturing practices to nourish your body and soul through the transition into motherhood. If needed I can also help guide you with getting breastfeeding off to a good start as I have completed the NHS breastfeeding peer support training. I have supported birthing women both at home and in hospital and have a wide range of different experiences to draw on. I have trained with many leading birth professionals over the years and am grateful for the wisdom that they have shared with me as I am now able to share their insights with you. Some of the topics include shiatsu in the childbearing year, Active Birth, waterbirth, pregnancy after loss, breech birth, Birthing From Within, supporting pregnant survivors of abuse and sexual trauma, Womb Yoga and the shamanic dimensions of pregnancy and birth. 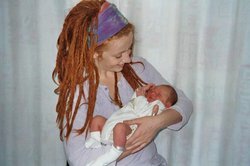 After working with women for many years I have learned the value of continued support in the immediate postnatal period, so I now offer a complete birth and postnatal service that deeply honours this time and the needs of the new mother with shiatsu bodywork, closing the bones / postnatal massage, birth art and shamanic process work. I believe that this time of new motherhood is sacred and it is my honour to support you in whatever way you need on your journey. Many traditional cultures support new mothers for 40 days after birth with massage, practical help and nurture and it is my mission to support women in our culture in these old ways so that you begin your mothering journey strong and empowered. I believe that developing the relationship between a mother and her doula is essential to build trust and confidence, so I like to meet regularly with my clients for a chat and a cuppa. The earlier you book me, the more you'll see me! Structured and bespoke antenatal sessions focused on your individual needs. Being on call for four weeks around the time of your estimated due date. This means that you can contact me whenever you need me to come to your birth, and I will be with you throughout the birth to support you and your partner. Telephone / email / Skype contact throughout our time together. I am available for you if you want to discuss any concerns or niggles you may have about your pregnancy and birth. Informal get-togethers, if you feel that you would like us to get to know each other better, I'm happy to meet up for a cuppa and a chat! I feel it is important for us to meet up at least once a month. This gives us the chance to get to know each other better before you give birth, and will enable me to support you more fully. I'm also available to talk over Skype. Postnatal sessions - this is your chance to discuss your birth experience and be nurtured with shiatsu bodywork, 'closing the bones' / postnatal massage, birth art / shamanic process work and other practical support, even if that's looking after your baby while you have a bath or a nap. I'm also available to offer additional postnatal support if needed. Together we will explore powerful tools to assist you on your birthing journey, drawing on themes from Active Birth, Shiatsu bodywork, and techniques from Birthing from Within such as using myth and art to explore your feelings and ideas around birth. These will help you as parents find mutual support by exploring attitudes and beliefs about birth and learning practical tools to empower you on your journey. I offer a few different birth support packages which can be tailored to suit your needs, including antenatal preparation sessions and postnatal support if you don't require a full birth doula service. The fees for my services reflect my many years of experience as a therapist and birthworker, my ongoing training, my unconditional support to you and your family and the realities of the commitment I make to you when I go on call for the birth of your baby. Paying by installments is always possible if that makes life easier for you. Please feel free to contact me with your questions and to discuss your needs. Traditional Birth Service - my standard (but far from basic!) birth package. Any extra services (such as postnatal support) are able to be added to suit your needs (by arrangement). I also work with other local doulas who can provide back up care if needed. The investment for the Traditional Birth Service is £899. A deposit of £200 is payable at booking with the balance due by 37 weeks. Birthing From Within Birth Support Service - for mothers (with our without their birth partner) who want to explore preparing for birth as a deep and transformational journey. Deluxe Birth Service - for mothers who want to be fully nurtured and cared for during their pregnancy, birth and early motherhood. Three postnatal sessions to debrief your birth experience and support you with your journey into motherhood with shiatsu bodywork, closing the bones / womb massage and birth art / shamanic process work. "I cannot recommend Fiona Willis highly enough as a doula. Her training and skills are perfectly attuned to supporting a woman in pregnancy and birth and the early days of being a Mum. Her wide experience and network of contacts gives the woman she is supporting a huge breadth of first hand experiences to learn from. Most of all her kindness, gentleness, wisdom and readiness to fight for what you want to have a beautiful birth will mean I will forever treasure her role in the birth of my wonderful daughter."